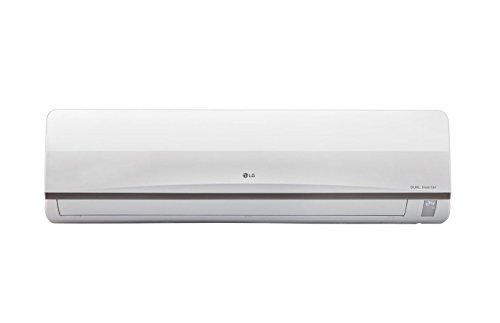 10 Best LG Air Conditioners – Reviewed: LG Electronics India, leading consumer durable brand in the country, has today announced the launch of its new range of Air Conditioners (ACs) for summer. The new lineup includes 59 new inverter AC Split models which are 100% ISEER compliant along with the launch of the first window inverter air conditioner. The new range will have spectacular new features and stylish designs to woo the Indian consumers. LG was the first one to comply with Government’s mandated ISEER Ratings (Indian Seasonal Energy Efficiency Ratio) that have become compulsory from January 2018. LG AC’s are equipped with new features like Mosquito away technology, this revolutionary new technology emits sound at a certain frequency that cannot be detected by human ear but helps in driving mosquitos away. Most of the LG AC’s are micro dust filters, dual inverter compressor and monsoon comfort options as a part of standard feature list.